Dual Use Research of Concern (DURC) and the publics’ conception of risks pose a threat to free research. We assessed the awareness of this topic in the scientific community through a global survey and identified a dramatic lack of coherent international terminology. Different understanding due to different educational or scientific backgrounds led to huge debates in the past ultimately resulting in restriction of publications. Thus, we reached out to scientists increasing the awareness of DURC and gaining public trust by effective science communication. Our survey unveiled great need for training the next generation of scientists. iGEM is the ideal platform to provide and establish sustainable training, and to raise global awareness. Starting local, we organized a lecture at our own university, expanded our university library with DURC literature, provided open-source presentation slides, created a podcast, and established a seminar. Mission: Integrate DURC issues and their communication firmly into university education! Additionally, we got in touch with society by participating in the FameLab, performing experiments at street sciences and working with pupils on various occasions. Recycling metals from electronic waste and returning them to the community as valuable metal resources - that is what our project is about. A highly relevant step in this process is the uptake of metal ions such as copper into bacteria. We found the microorganism Acidithiobacillus ferrooxidans, a bacterium used in the industrial process of bioleaching of copper ores which lives under extreme environmental conditions (Romo, E. et al., 2013). We wanted to transfer and optimize its copper uptake system into the model organism Escherichia coli (E. coli). Together with the other components of our project, our E. coli should be capable of digesting electronic waste and form nanoparticles that could be used for various new applications. But a closer look also revealed the potential for abuse of our project: In the wrong hands our bacteria could theoretically be used intentionally for digesting working electronics although at extremely low rates with very limited capabilities. However, this could be misperceived by the public. This technomoral scenario derived from our own project idea shows that research results could be used for benevolent and malicious applications alike. We addressed this problem by working with metal ions dissolved in mining drainage instead of recycling electronics. Nevertheless, we got curious and wanted to know how scientists in general deal with similar problems when they appear. During our research on how to deal with such ethical dilemmas we came across the terms Dual Use and Dual Use Research of Concern (DURC). We were quite startled that no one of our team learned about this in their academic education although our team is formed by members of different fields of life sciences. Unfortunately, addressing this issue has shown itself to be far from trivial as we did not even know who to address at our own university as we just got in touch with DURC issues through iGEM. Consequently, we investigated whether other students and scientists deal with similar problems. Therefore, we put a lot of time and effort into education and outreach on ”biosecurity”, “Dual Use”, and “Dual Use Research of Concern” at our university and on an international level. But first: Let’s get the Definitions straight! Biosecurity: "The protection, control and accountability for biological materials and their biosecurity-relevant information, in order to prevent their unauthorized access, loss, theft, misuse, diversion or intentional release." Biosafety focuses on the protection of people within a laboratory and the prevention of unintentional release of environmental or health hazards whereas Biosecurity sets the focus on the protection of laboratory material and relevant information against misuse. While biosafety is well implemented in iGEM (e.g: Whitford,et al. Auxotrophy to Xeno-DNA: An Exploration of Combinatorial Mechanisms for a High-Fidelity Biosafety System for Synthetic Biology Applications. (2018), Zheng-jun Guan,et al. Biosafety Considerations of Synthetic Biology in the International Genetically Engineered Machine (IGEM) Competition. (2013), biosecurity is only mentioned occasionally. To the best of our knowledge, there is no uniform international definition of biosecurity, Dual Use, and DURC. Different organizations came up with different definitions leading to confusion and different understandings. For example, in chemistry, the term "Chemical Security" is also referring to Dual Use issues. Therefore, it is necessary to establish international uniform definitions on suitable for further education. iGEM is the ideal platform for this purpose as its community is spread all over the world. That is why we are launching a call for international collaboration for uniform terminology within the framework of the competition! iGEM does not only mean designing an entire project from scratch. iGEM teams came up with amazing ideas in previous years and developed astonishing systems making the world a better place. We believe that continuing and refining the best ideas is not only a splendid way of honoring those projects but also a necessity, if we really want to accomplish long-term impact in science. We focused on our outreach on the topics biosecurity, Dual Use, and Dual Use Research of Concern (DURC). The team iGEM Bielefeld-CeBiTec 2015 laid the foundation for making a true difference in education and enlightenment of those topics within the iGEM community and amongst life science students in general. We want to build on this and further develop and implement their theoretical approaches. The 2015 team examined the current state and effectivity of education on these topics in life sciences and the iGEM community as well as the legal situation in different countries and regions of the world. All their findings were portrayed in a "Dual Use Report". Now we want to convert their theory into practice. Starting at our university, moving on to national and finally international level, we reached out to scientists and experts - promoting education, preventing misuse and misconception. What has happened since 2015? As the previously mentioned definitions are highly theoretical, we want to present some examples which illustrate what research could cause in the wrong hands. We selected these frequently discussed cases to prevent additional panic by not portraying novel alarming scenarios. Science provides an example with a publication on the transmissibility of A/H5N1 viruses between ferrets which might be used to increase transmissibility of harmful viruses (Herfst et al., 2012). The research group examined which part of the genomic information of a mutated A/H5N1 virus was responsible for its previously non-present air transmissibility. Theoretically, this could be transferred to any harmful virus - so it is a case of Dual Use Research of Concern. However, it is important to note that the modification of a virus is not a trivial task and would require substantial additional research. An example from another field of science is a publication on pulmonary drug delivery by customizing large porous particles (Edwards et al., 1997). The publication enables the optimal uptake and medical efficacy, but this works the same for toxins or drugs. This is why this research can also be considered Dual Use Research of Concern as it could be misused to effectively harm somebody. In contrast to researchers from previous generations, we have to deal with an additional challenge: the global availability of information throughout the internet. Open access provides lots of chances for science as huge amounts of data can be shared within seconds but at the same moment cause a sensible problem as also sensitive information and panic could be spread rapidly. Despite all these concerns we did not have lots of misuse cases in the last decades. They are actually extremely rare considering the number of scientific projects that are running each year. It should be mentioned here that despite only a few cases, they are nevertheless still present! We as scientists know that in most cases the feasibility of misuse is very low. For example, it is extremely challenging to recreate a virus and there are many easier ways to harm someone - but does the public know, too? A great danger comes also from how the public perceives the danger. Different understanding due to different educational or scientific backgrounds led to huge debates in the past ultimately resulting in restriction of publications. That is why we reached out to scientists gaining public trust by effective science communication of their research. Ask yourselves: How does the public perceive you as scientists? It is important to communicate to the public that every scientist is aware of their research and has carried out risk assessment. The one who works on research must be the one who can best assess the risks of the research and moreover communicate them properly. This is a fundamental part of generating public trust and supporting free research. Regulation by politics includes the problem that politicians do not necessarily possess enough expertise on science-relevant topics to correctly interpret concrete situations. This could lead to overregulation and restriction of free science as they could overrate dangers and risks due to wrong assessment. In addition, they have to represent the view of the public which can be easily influenced by panic. As they must secure their voters, they speak out more willingly against free science in order to calm the public and gain trust. The scientist himself can best assess the risks of his own research. This is why self-regulation by scientists acting as their own experts might be the better solution. But self-regulation only works if every scientist is aware of DURC issues and its communication. This can only be achieved if it is part of their university education. Therefore, we want to underline the relevance of dealing with this topic. When participating in the iGEM competition, it is necessary to deal with Dual Use and biosecurity issues. Most participants in the competition get in touch with research for the first time through iGEM. That is why iGEM has the potential of being a role model for the scientific community by providing education and raising awareness for biosecurity concerns and the minimization of its risks. Each year, over 45 countries and nearly 6000 students participate in the iGEM competition and thus its influence is enormous (iGEM Foundation, 2018). In addition, all results are open source. Consequently, everybody with an access to the web can get all information about every project. Due to this enormous impact and the fact that all results will be published it is important that all participants are aware of the terms “Dual Use” and “Dual Use Research of Concern” and their communication. Most attendees, including ourselves, were uninformed about biosecurity when starting their research and heard about this topic the first time when they have already started their project. We think this is way too late. The iGEM Headquarters (iGEM HQ) strongly emphasizes the importance of biosafety and biosecurity. One problem is the internationality of the competition. iGEM HQ must ensure that US rights are observed but also the teams should be able to successfully participate in countries with different laws. Teams must completely agree on safety and security policies from iGEM HQ to be accepted for the finals in Boston. The high safety measures as for example working with organisms of safety level three or four and using parts from organisms of a safety level of four is completely forbidden. Also, every team has to fill in a safety sheet that requires profound reflection on the topics biosafety and biosecurity (iGEM Foundation, 2018). Despite most questions dealing with the first-mentioned, the questionnaire also asks about DURC training the iGEM teams might have got. One question also asks about the safety, security and ethical risks the projects might trigger (iGEM Foundation, 2018). This shows indeed that biosafety and biosecurity have high relevance for iGEM but still DURC issues are not considered long-term. It would be useful providing biosecurity material when iGEM teams register. It has not escaped our noticed that our provided presentation slides about DURC could be used for this purpose! How does the life science industry handle biosecurity issues? As an iGEM sponsor and provider of gene syntheses we asked Integrated DNA Technologies (IDT) about dealing with biosecurity issues. Gene syntheses can potentially be misused to generate hazardous organisms. IDT is one of five founding members of the International Gene Synthesis Consortium (IGSC) and was involved in the development of The “Harmonized Screening Protocol”. This protocol is applied to every sequence order to prevent the misuse of synthetic genes. For their gBlocks Gene Fragments IDT uses this protocol to screen every ordered sequence for regulated and possibly pathogenic sequences. Besides, IDT verifies that their customers are legitimate scientists and ensures that they are involved in beneficial research (Integrated DNA Technologies, 2018). Starting locally, we examined the situation in Germany. Currently, there are no regulations and controls concerning the content of publications here. For this reason, it is important to promote a sense of responsibility from the very beginning of the scientific education. Carelessness of the scientific community could lead to misuse of research. This could entail harsh regulations from the politics and a restriction of free science. If every scientist is accordingly educated and acts in a responsible manner such excessive regulations can be avoided in the future. This issue is very important to protect the society as well as the public trust scientists and scientific institutions rely upon. In 2014, the German Research Foundation (DFG) published together with the National Academy of Sciences Leopoldina recommendations on how to deal with DURC. These recommendations state that research institutions draft ethical rules for dealing with DURC and establish a commission for the ethics of DURC that has an advisory function. It was recommended that these commissions should be established at every research facility by 2017. By 2019, it will be decided whether these commissions are sufficient to deal with DURC problems or whether more regulations are needed. One restrictive suggestion is that scientists must obtain a license in order to be allowed to publish something - and that would be an intervention in free science (National Academy of Sciences Leopoldina and German Research Foundation, 2016). Consequently, there was a new committee for the ethics of DURC founded at our university (Bielefeld University Press, 2017). Getting in contact with the head of the commission, we learned that they are in charge of this committee but did not take action to integrate the issues into the curricula yet. This is partly due to the fact that the commissions did only get the goals they need to achieve without any information on how to accomplish this. Further, they are members of the board who already have full time jobs and would provide advice if required. At first, we wanted to receive information from experienced scientists of different fields of science like biology, informatics, physics and chemistry about the topics Dual Use and Dual Use Research of Concern. We assumed that they should definitely be aware of the whole topic. We evaluated the current situation at our university. The interviews demonstrated that most scientists have heard about the terms before but have never dealt with them in detail and certainly not integrated them into their lectures. How should students be informed if these topics are not part of the university education? During the interviews we presented our further procedure planning to the scientists in order to integrate the education on DURC issues into lectures: For the beginning we planned to provide open source presentation slides that can be easily integrated into lectures or safety instructions. Almost all researchers we contacted agreed to integrate our slides into their lectures. In order to evaluate the situation throughout Germany, we initiated a nationwide survey in the period from June 21st to July 10th about the topics Dual Use and Dual Use Research of Concern and their treatment at university. The results clearly show that the level of knowledge of German scientists as well as the enlightenment at universities about DURC is not sufficient. Here you can view the detailed evaluation! Based on the results of the interviews and the survey, we organized a lecture evening followed by a panel discussion on the subject „Where does free science end? – Chances and risks of the self-regulation in research“. Figure 1: The flyer of our event. This event was organized in cooperation with the student initiative Bielefeld biotechnologische Studenteninitiative (btS) e.V. on 11 July. We invited the speakers Prof. Dr. Alfons Bora (Faculty of Sociology, Bielefeld University), Prof. Dr. Kathryn Nixdorff (Leopoldina, University of Darmstadt) and Tom Hobson (Bath University). We gave a talk on the topic ‘Biosecurity in the Context of iGEM’ in which we presented among other things the results of our nationwide survey and moderated the following discussion. iGEM HSHL 2018 and iGEM Duesseldorf 2018 attended the event and gave great input! Their presence was a step forwards to increase the reach of education on DURC issues. Figure 2: Tom Hobson, members of the iGEM team Duesseldorf 2018 and us after a great discussion. Freedom needs responsibility - raise awareness! Figure 3: Our team member Irina Rais addresses the 80 participants. We extended our perspective to get an international look on the level of knowledge and prepared an international version of the German survey. The survey covers the topics Dual Use, Dual Use Research of Concern and their imparting at universities. Since the survey is still active we are still looking for more participants to get a better international view! Nevertheless, we evaluated the data from the period of July 18 to October 3rd to get a first international impression. We also designed a world map with all countries that participated in the survey highlighted in green. Our goal is to see the whole world marked green! Figure 4: World map of the survey participants. We believe that actually even less people know about Dual Use and Dual Use Research of Concern. The survey was mainly done by other iGEM teams thus motivated students interested in the topics which does not depict the situation for the whole student community. On the other hand, the poor results may also be due to the fact that no official, uniform definitions for Dual Use and DURC exist. Different organizations come up with different definitions leading to confusion and different understandings. Conclusion: Interpretation of the Surveys - what can we learn from them? These mentioned risks will always be present if the education on DURC issues and science communication does not improve! 5. Step: How can we avoid it? Long-Term Prevention! Our goal is to integrate DURC issues and their communication firmly into university education worldwide. Only through long-term integration into the curriculum can an effective sense of responsibility be established. For this reason, we have taken some steps to achieve these goals. Figure 5: Our team member Erika Schneider talks to the librarian Birgit Hollmann about the new acquisition. We want to make it easier for lecturers to integrate Dual Use and Dual Use Research of Concern issues into their lecture and courses. That is why we prepared a concise set of slides with further explanations and instructions in the presentation notes. These contain clear definitions for the terms Dual Use and Dual Use Research of Concern. The aim is to lower the threshold for integrating these topics into lectures or safety inductions since lecturers themselves do not have to prepare anything. As already mentioned, many researchers at our university already announced to incorporate these slides into their lectures. We prepared different versions for the research areas of biology and chemistry each in English and German. The provided slides are open source and can be effortlessly used by everyone without our explicit permission. We are happy about acknowledgement though. You can find the slides here! 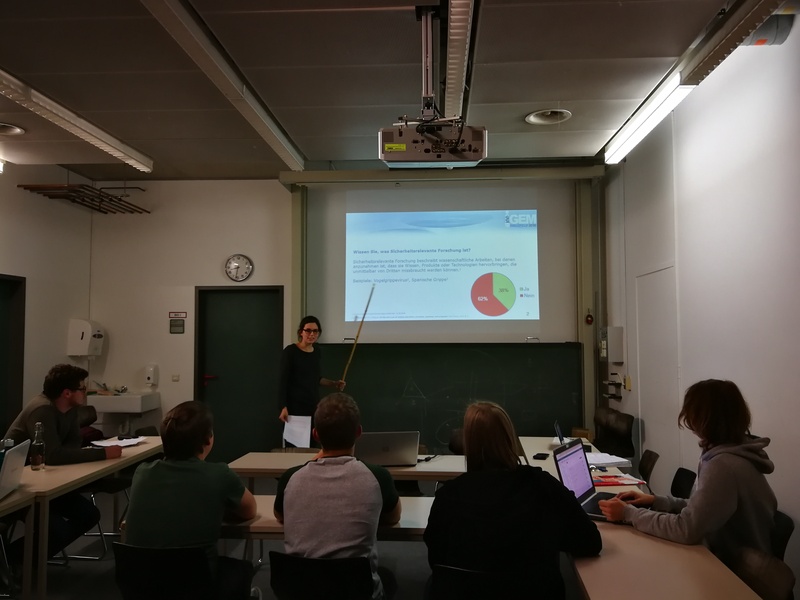 Figure 6: iGEM Erlangen 2018 is discussing our slides in their team meeting. Figure 7: Getting international! iGEM KAIT JAPAN 2018 also integrated the presentation slides into their meeting. Figure 8: You can never start to early: Highschool team Rheda-Bielefeld 2018 during the presentation of the Dual Use issue. Figure 9: Zurich discussing the presentation slides. Figure 10: iGEM UIOWA 2018 also informed themselves about Dual Use issues with the help of our slides. Figure 11: Team Athens goes through the slides at a Skype conference. iGEM Athens 2018 also even spread awareness by presenting our slides at the Molecular Virology Laboratory of the Hellenic Pasteur Institute. We thank every team for their openness to look at your project from a different perspective. We are looking forward to every next team that comes along! As an incentive for iGEM teams to use the slides and to deal with the topic, we designed a Dual Use Awareness button which we sent every team that has dealt with our slides. It is supposed to be a ‘seal of quality’ through which the teams could express that they take DURC issues in concerning their own project seriously and are well informed about the topic. The button is uploaded to the iGEM servers and can be easily integrated into their wikis.  Figure 12: Dual Use Awareness button. Additionally, we developed detailed slides which can serve as a lecture to get a deep understanding of Dual Use and Dual Use Research of Concern. These slides contain all the relevant definitions related to DURC and suitable examples from different fields of research. They enhance the understanding for this topic and make it easier for students to distinguish between the conceptions. Imparting awareness and developing a sense of responsibility for DURC issues and their communication is the major aim! In order to further strengthen the awareness of DURC on a long run we incorporate scientists of various expertises who are willing to present their point of view on DURC in a seminar. Part of our novel seminar is Jun.-Prof. Dr. Alexander Grünberger who is keen to discuss the slides in the study program Molecular Biotechnology. He is a professor for Multiscale Bioengineering and will represent the view of bioprocess engineering. Prof. Dr. Kristian Müller is professor for cellular and molecular Biotechnology and was the first PI to supervise a German iGEM team. Therefore, he is one of the German PIs with many years of iGEM experience. He will talk about DURC in synthetic Biology. Moreover, Prof. Dr. Alfons Bora who is a professor for sociology of law and technical assessment will give a lecturer in this seminar. He was a member of the German Ethics Council from 2012 - 2014 and since 2014 he is a member of the Joint Committee of the German National Academy of Sciences Leopoldina and the German Research Foundation (DFG) for the Handling of Security-relevant Research. Psychologist Dr. Lilian Streblow is from the faculty of Educational Sciences and a member of the ethics council of Bielefeld University. Prof. Dr. Marie I. Kaiser studied biology and philosophy and is a professor for Philosophy of Science at Bielefeld University. She is interested in the philosophy of biology and in the metaphysics of science. We were also able to win Prof. Dr. Ralf Hofestädt for our seminar: He is a professor for Bioinformatics and a specialist in petri nets. The seminar should take place at Bielefeld University as a long-term course where students get insights into different views about DURC and biosecurity. Our provided detailed slides serve as our contribution from the iGEM team Bielefeld-CeBiTec 2018 to the seminar to fill the first slot. As we could see in our survey many students do not know the meaning of DURC. We think it is time to change this, so the seminar is an important step to spread awareness! Together with our campus radio station ”Hertz 87.9”, we produced and broadcasted an English podcast. Our team members Matthias Otto and Irina Rais presented our motivation, discussed the issues of Dual Use Research of Concern and its communication and introduced our prevention methods. The podcast is yet another way to reach the general public. We utilized different channels to raise awareness on Dual Use Research of Concern, among them social media e.g. Facebook and Twitter. Through social media, we initiated and participated in discussions about this topic. With the huge iGEM community, other science-enthusiasts and friends we reached several thousand users and got valuable input from different experts and institutions. The number of steadily growing reports of work involving dual-use research of concern (DURC) in the scientific literature have generated much controversy and debate in the scientific community and in the general public. The nature of the debates about the potential biosecurity risks involved in such research points out the need for carrying out life sciences work in a responsible manner. Several surveys over the past ten years have clearly documented that the majority of scientists involved in modern life sciences work do not devote a great deal of active consideration to questions of biosecurity, mainly because they have little awareness of possible dual-use implications of their work. The CeBiTec Group Bielefeld is a refreshing exception. For example, through research carried out in connection with their iGEM-Projects over the past several years CeBiTec Teams have dealt extensively with the issues surrounding biosecurity-relevant research in the life sciences and related fields. In carrying out dual-use biosecurity risk assessments of their projects, they have demonstrated that they are indeed working responsibly as young scientists. However, they have not stopped there. Members of the iGEM Team 2018, along with volunteers from the biotechnologische Studierendeninitiative (btS) are also at present actively engaging in projects to raise awareness among those studying and working in the life sciences and related fields about dual-use biosecurity issues of concern. In particular, the group is exploring how best to integrate these issues into the curriculum at universities. It is clear to most experts in the biosecurity community that creating a culture of responsibility among those working in biosecurity-relevant research areas through education about dual-use issues is one of the most effective ways of mitigating risks that may be involved in this work. I am extremely impressed to see that young academics have taken the initiative themselves to promote awareness-raising from the bottom up. This should set an example for all young academics; the CeBiTec Bielefeld Group are to be heartily commended! Life sciences findings can be misused – even when they were determined in good faith. VBIO therefore do not take dual-use problems or biorisks lightly. Everything has to be done to prevent individuals, society and environment from or accidental or malicious misuse of life sciences. On the other side bad will, crime and terrorism always can elude even the best laws or legal prohibitions. Therefore awareness of the involved scientists is of crucial importance. Proliferous introduction of new regulations, structures, licensing procedures and administrative processes will prevent dual use risks only to a certain extent. Effort and benefits would be out of proportion with the associated disabilities and delays of life science research. Therefore VBIO stands against demands of the “Deutscher Ethikrat” (German Ethics Council) for stricter legal regulation. In the sense of an appropriate risk strategy we support awareness-raising measures at all levels of the science community, within universities and research institutions, within scientific societies, within companies and last not least within study and teaching. Supported by the “Konferenz Biologischer Fachbereiche” (KBF, German Conference of Biological Departments) VBIO had achieved that the topics of biosafety and biosecurity were implemented in study reference frame “Fachkanon_Biologie” and the study plan of “Fachspezifisch ergänzende Hinweise” (FEH 10) of the accreditation agency ASIIN. Thus all life science departments in Germany are asked to implement biorisk management aspects in all of their bachelor and master degree programs. The goal must be to confront every bioscientist with the dual-use problem and biorisk management from the beginning of his career and to achieve that a bioscientist is not satisfied with the compliance with the legal regulations but recognize and accomplish this special ethical responsibility. In individual cases, this can also mean the temporary or final abandonment of a research project. In line with the “Gemeinsamer Ausschuss zum Umgang mit Sicherheitsrelevanter Forschung” of the DFG and Leopoldina (joint committee on dealing with safety-relevant research), the VBIO requires universities and research institutions to create financial, organizational and time-related spaces that enable their employees to conduct risk-responsive, risk-averse analysis. These include regular training, exchange and counseling services. A further step is the establishment of “Kommissionen für Ethik der Forschung” (KEF, Research Ethics Committees) which are the first contact points for all scientists. In addition, beyond the institutions, all opportunities must be exploited to raise awareness of the dual-use problem in research networks, organizations and associations, without paranoidly exceeding the target. Therefore with a sense of proportion, VBIO always likes to help the topic of biorisk management not to a maximum, but to lead to an optimum. "With a knife, you can cut bread or slit another person's throat: that's "dual use". Originally, the term comes from the export control and stands for technology, machinery and software that can be used not only peacefully, but also for military purposes. In the current discussion about dual use, it is often also about the misuse of such goods by terrorists. They are subject to special export controls or restrictions and are listed in various national and international lists. Sometimes "dual use" also very generally refers to any harmful, immoral or dubious use of technology, such as when learning pattern recognition programs are used to monitor or manipulate humans. Technologies, machines, software: these are products that usually start with scientific research. Research is free and in basic research, unrestrained curiosity is not only allowed, but desired. However, researchers need to think about what they are developing, whose hands their results could reach, and what might become of them in the worst case scenario. This applies not only to the developers of centrifuges, which can be used in medicine as well as for the production of nuclear bombs, or for chemists who work on substances that could be used for chemical weapons, but for all researchers, including e.g. findings of psychology on the manipulability of humans. Presumably, no scientific discipline can fundamentally be dismissed from these considerations. In 2011, researchers from the Erasmus Medical Center in Rotterdam changed avian influenza viruses so that even mammals could transmit them, thus triggering a debate: May science have to do that to better assess the risk of pandemics? Or does it unintentionally help bioterrorists? In 2017, Canadian researchers rebuilt the extinct horsepox virus. A dispute over the question of whether such research results should be published followed. Is full disclosure always the best way for everyone? The dual use problem is also very present in artificial intelligence (AI) research. Since its inception, AI research has been and continues to be heavily promoted by the military. (Partial) autonomous weapon systems, ambulance or reconnaissance vehicles, assistance systems that carry loads, data glasses, exoskeletons, programs that evaluate the data of drones or surveillance cameras, as well as the field of cyber-attacks, defense and espionage: the military has many applications for what AI research is developing. With regard to autonomous weapon systems, researchers are already talking about the third revolution in military technology after the invention of gunpowder and the development of the atomic bomb. In 2017, several researchers and CEOs of AI corporations signed an open letter in which they warned of an arms race with autonomous weapons. Others pointed out that now that this technology was introduced one has to assure not to fall behind other states: this is the logic of the arms race. Researchers are now facing a dilemma: If they refrained from research whose results could possibly be misused, the scientific progress in medicine and technology would be done for. On the other hand, researchers are due to their expertise responsible for weighing up the risks and the opportunities of their work: “Scientists have the duty to minimize the risks of dual use in their work” says the Robert Koch Institute. To support researchers in fulfilling their duty, the German Ethics Council, the German Research Foundation and the National Academy of Sciences Leopoldina published recommendations in 2014 on how to deal with dual use risks. Their research institutions, the experts emphasize, should support the researchers." "At iGEM we take the risk that others might misuse our work and resources to cause deliberate harm very seriously. We have robust programs designed to ensure that we help enable local people to address local challenges both safely and securely. Leading technical bodies, such as the US National Academies of Sciences, Engineering and Medicine, have suggested that almost all modern biotechnology could be used for both good and for harm. Over the years, we have had fantastic examples of teams engaging with these issues and finding practical ways to better understand and address such concerns. We are proud to enable and champion that engagement. This is another example of how our communities are engineering solutions to real-world challenges. iGEM believes that we all share a responsibility to maximise how biological engineering can make our lives better whilst minimising any potential for harm. That is why iGEM teams are asked to think about and manage any risks from their projects - both during the competition and should their project ever be fully realised. We understand the important role that instructors, advisors, and PIs can play - both in ensuring the work is safe and secure but also in building a culture of responsible research and engineering. More broadly, the iGEM communities capture this though our shared values. We work to translate this into effective action. For example, iGEM continues to be at the forefront of building better ways to identify and manage risks, including dual use concerns. After iGEM also provides a powerful platform by which members of iGEM communities can continue to work on these important issues as their careers progress. For example, in December 2017 five members of our community participated in and briefed the annual meeting of the Biological Weapons Convention, at the United Nations Office at Geneva." All these steps to bring the Dual Use and Research of Concern topics closer to scientists were just the beginning of something that we definitely want to continue after iGEM. We would also be pleased if following teams pick up on our activities and further spread and develop them! iGEM has the potential of being a role model for not only the scientific community: With its international reach and huge community, iGEM can be a trailblazer for education. Due to the interdisciplinary nature of the competition, it has great potential to mediate between society and science. Within the framework of the iGEM community we hope to promote a sense of responsibility in dealing with DURC problems but in particular to teach and practice science communication in the area of DURC to generate public trust in the future. As we put a huge focus on free accessible science, we published and will publish our project and future results on Research Gate – with the goal of reaching as many people as possible. Here you can get to the Research Gate page of our project! The end of this year’s iGEM competition and the Wiki Freeze are by no means the end of our initiative - but rather a springboard for future activities. For this reason, we have created a website that will continue to provide information about our plans in the future. We put a lot effort into being a mediator between science and public and the other way around. As we have set a great focus on science communication, we used many possibilities to introduce science to a broad public. The FameLab presentation format was developed by Cheltenham Festivals in 2005 and similar events worldwide have been organized in collaboration with the British Council. The competition aims to communicate science in innovative ways. During the FameLab competition every competitor has three minutes to present a scientific topic as a lecture. Presentation slides are not allowed, but all equipment that the participants are able to independently bring to the stage can be used. The lectures are evaluated regarding to their content, structure and charisma by a jury which consists typically of representatives of science and the media. FameLab International takes place in the US and around 30 countries in Europe, Asia and Africa. So far, more than 7000 participants worldwide took part in FameLab International. In most countries, the winners of regional preliminary competitions compete against each other in a national final. The winners of all national finals will then meet at FameLab International in the UK at the Cheltenham Science Festival. Since 2011 there are also annual FameLab competitions in Germany. Bielefeld Marketing GmbH organizes the format together with the British Council in Germany and coordinates the regional preliminary decisions and the annual Germany final. Our team member Antonin participated in the regional preliminary decisions in Bielefeld and presented our project to a broad public audience. Our project was presented as the biological Philosopher’s Stone that transforms polluted water into gold and other valuable metals. By skipping technical jargon and using visual language, Antonin was able to explain our topic within two minutes to people of different ages and scientific and educational backgrounds. Media today is an effective and great tool to address many different people. Therefore, we contacted our campus radio station Hertz 87.9 and got the opportunity to present the iGEM competition and our project at their live science broadcast. The interview can be accessed here! (German). We were in touch with the radio team throughout the whole iGEM competition. We broadcasted a podcast in cooperation with Hertz 87.9 and are invited to their science show after the Giant Jamboree. This is a great example of how media and science can work together – we are very thankful about the amazing cooperation! Figure 13: Antonin and Irina with Thomas Rademacher from the Hertz 87.9 team. The "Sparkasse Bielefeld" is a local credit institute and one of our sponsors. They visited us in our lab where we presented our project to them. Accessible for everyone, they have written a blog entry about us and published it on their weblog. As the Sparkasse is one of the leading credit institutes in Germany, we could reach many different people! You can view the blog entry here! (German). The city of Bielefeld is currently planning the so-called “WissensWerkStadt” (English: Factory of Knowledge) in cooperation with Bielefeld Marketing GmbH. It is an empty building which should be converted into a house of science. It is meant to be a place for exchange between urban society and science: new ideas, productive corporations and exciting visions contributing to everyday life, culture and economy. On 30th of January, a variety of scientific groups were asked to perform experiments for the public at the current location in order to inspire officials who are responsible for the design of the interior of the house. In cooperation with the Biotechnologische Studenteninitiative e.V. Bielefeld several simple experiments were performed together with visitors of various backgrounds and ages as an inspiration to how the new building could be structured. We conducted some experiments, which could be performed by children. The visitors enjoyed exploring scientific principles and (re-)discovering their interest in science. In the following discussion about the different possibilities to design the building, we gave input as well - so we were involved in creating a new place of science for a broad public. Figure 14: Members of the btS Bielefeld and our team. Last year the march for science was initiated as a demonstration for science and against misinformation. Now it evolves into a movement to build a society of scientifically educated people, in which facts are the driving forces of politics. At the March for Science, people of every ethnicity, gender, age and sexual orientation demonstrate together for the freedom of science worldwide. This year our team participated in the March for Science in Cologne. Together with other iGEM teams such as Düsseldorf, Aachen and Bonn we demonstrated for science and process and against a post factual era. We also took the opportunity to enjoy a spontaneous meetup of all teams of North-Rhine-Westphalia and exchanged first project ideas and details. Figure 15: Antonin, Jakob, Erika and Matthias with the forensic biologist Dr. Mark Benecke. Science is fun. Our goal is to convey this message to young and old. Taking many initiatives, we (re)gained the fascination for science of both adults and children. The Familiy Day at the Sparrenburg (a castle in Bielefeld) took place on April 7, 2018 as a cooperation between the city of Bielefeld, the nonprofit organization Biotechnologische Studenteninitiative e. V. and Bielefeld Marketing GmbH. It is part of the opening of the summer season at the Sparrenburg and offers a various range of scientific experiments for children and their families. In cooperation with the btS e.V. Bielefeld we offered a variety of experiments explaining scientific principles by means of a wow-effect with illustrative examples. We limited most experiments to household products to demonstrate how science surrounds us in our daily life. For example, we let children explore the properties of a non-newtonian fluid. In this experiment, a bowl is filled with a mixture of two thirds water and one third starch. By combining these two substances, the liquid solidifies when pressure is exerted and returns to its liquid form once the pressure normalizes. With our experimental set-up, we did not only inspire many of our young visitors for science, but adults were also able to (re-)discover their fascination in science. An overview containing all the experiments, their set-up and their execution can be found here (German). The Marta is a museum in Herford with various exhibitions on different fields. The exhibition "Creatures made to measure – Animals and Contemporary Design" was opened on September 16. Giving a scientific view on animals, we presented in cooperation with the Teutolab Biotechnology, the high school iGEM team Rheda Bielefeld 2018 and the sequencing team Markus Haak and and Dr. Christian Rückert experiments in front of the visitors. They included the extraction of DNA from fruits, the determination of the composition of meat by DNA markers and live sequencing of minced meat using the MinION nanopore sequencer. Through the everyday example of minced meat, we could reach and inspire many visitors. In addition, we provided a different perspective on the handling of animals in today’s world and achieved an exchange between everyday life, public and science. Figure 16: Erika is preparing the DNA extraction. The pupils academy took place from August 20th to August 24th and September 1st to September 8th for the seventh time at the Centre for Biotechnology (CeBiTec) Bielefeld. On two days, we taught the students simple methods of genetic engineering for example plasmid isolation and transformation. Getting in closer contact through a dinner evening and other activities, we could answer all their questions concerning life science studies and biotechnology. During these two days we were able to communicate the fun of science and to inspire young 20 students to study natural sciences. The teutolab-biotechnology offers student classes to experience biotechnology up close beyond the school level. Within two weeks, the pupils get the chance to take a look at biotechnological research: they had the opportunity to develop research questions and implement their solution into practice. Within the framework of teutolab, we arranged two days with the pupils: One day in the laboratory performing plasmid isolations and transformations and one day introducing them into bioinformatics. This was yet another way of awakening fascination in science and promoting education! Figure 17: Vanessa, Johannes and Matthias are looking forward to work with the pupils. With the framework of the "German Association for the highly-gifted Child", we gave a workshop for highly-gifted children including the DNA extraction of fruits and own DNA from oral mucosa. We were able to impart knowledge and successfully arouse interest in science! Bielefeld University Press. https://ekvv.uni-bielefeld.de/blog/rektoratsmeldungen/entry/kommission_für_ethik_sicherheitsrelevanter_forschung. 20 July 2017. Edwards, D. A., Hanes, J., Caponetti, G., Hrkach, J., Ben-Jebria, A., Eskew, M. L., ... & Langer, R. (1997). Large porous particles for pulmonary drug delivery. Science, 276(5320), 1868-1872. European Commission. http://ec.europa.eu/trade/import-and-export-rules/export-from-eu/dual-use-controls/index_en.htm. Accessed 14 October 2018. Herfst, S., Schrauwen, E. J., Linster, M., Chutinimitkul, S., de Wit, E., Munster, V. J., ... & Rimmelzwaan, G. F. (2012). Airborne transmission of influenza A/H5N1 virus between ferrets. science, 336(6088), 1534-1541.
iGEM Bielefeld-CeBiTec 2015. http://2015.igem.org/Team:Bielefeld-CeBiTec. Accessed 14 October 2018.
iGEM Foundation. http://igem.org/Main_Page. Accessed 14 October 2018.
iGEM Foundation. http://2018.igem.org/Safety. Accessed 14 October 2018. Integrated DNA Technologies. https://eu.idtdna.com/pages/products/genes-and-gene-fragments/gblocks-gene-fragments. Accessed 14 October 2018. National Academy of Sciences Leopoldina and German Research Foundation. "Gemeinsamer Ausschuss zum Umgang mit sicherheitsrelevanter Forschung – Tätigkeitsbericht zum 1. Oktober 2016." October 2016. National Institutes of Health. https://osp.od.nih.gov/biotechnology/dual-use-research-of-concern/. Accessed 14.October 2018. Romo, E., Weinacker, D. F., Zepeda, A. B., Figueroa, C. A., Chavez-Crooker, P., & Farias, J. G. (2013). Bacterial consortium for copper extraction from sulphide ore consisting mainly of chalcopyrite. Brazilian Journal of Microbiology, 44(2), 523-528. Whitford, C. M., Dymek, S., Kerkhoff, D., März, C., Schmidt, O., Edich, M., ... & Kalinowski, J. (2018). Auxotrophy to Xeno-DNA: an exploration of combinatorial mechanisms for a high-fidelity biosafety system for synthetic biology applications. Journal of biological engineering, 12(1), 13. World Health Organization. "Laboratory biosecurity guidance". September 2006. Guan, Z. J., Schmidt, M., Pei, L., Wei, W., & Ma, K. P. (2013). Biosafety considerations of synthetic biology in the International Genetically Engineered Machine (iGEM) competition. BioScience, 63(1), 25-34.